With her stylish and laid-back approach to cooking and entertaining, Kim Kushner presents kosher food in a modern and vibrant manner—and doles out her indispensable strategies for keeping calm, organized, and prepared in the kitchen along the way. As a mother of four, cooking instructor, and author, Kim’s signature cooking style reflects her busy, multi-tasking life—meaning flavor-packed recipes, made with straightforward techniques, that inspire ease, time savings, and creativity in the kitchen. This inspiring cookbook offers her collection of essential, go-to recipes—those learn-by-heart favorites that will deliver superlative results every time, streamline prep, and guarantee amazing meals with family and friends. Featuring fresh ingredients and bold flavors, Kim’s no-fuss recipes are well suited for any meal of the day, from family breakfasts and holiday feasts to dinner parties with friends and span quick dinners, slow-simmered stews, party fare, and more. She also divulges her special arsenal of essentials such as easy-to-prepare staples, signature dressings, and homemade marinades for cooking ease and versatility. As a longtime fan of Kim's chic, delicious cooking, I'm happy to say she's done it again. I ♥? 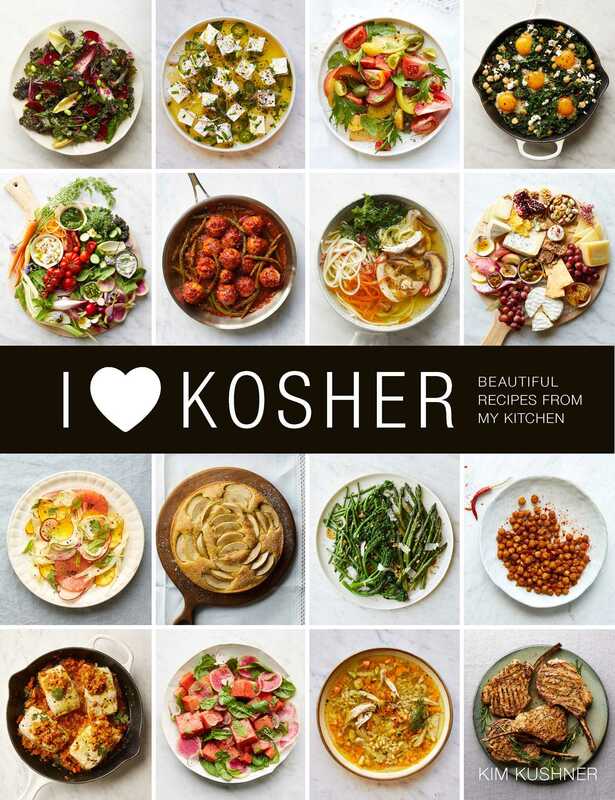 Kosher is a cookbook you'll turn to again for gorgeous doable food that brings her sunny, happy, irresistible food to life on every page.